Funeral services for Fletcher Boyd Brumfield, 85 year old retired farmer, were held Tuesday, Dec 13 at Ginn Funeral Home Chapel with the Rev. Roy Fullove assisted by the Rev. Robert Ledbetter officiating. Pallbearers were Robert Lee, Pat Brumfield, John E.Brumfield, Tommy Brumfield, Joe Reid Brumfield, and Pope Dykes. 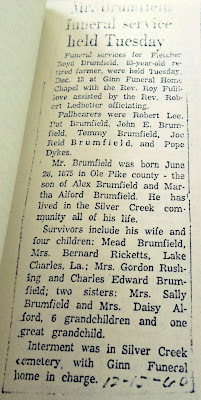 Mr. Brumfield was born June 28, 1875 in Ole Pike county – the son of Alex Brumfield and Martha Alford Brumfield. He has lived in the Silver Creek community all of his life. 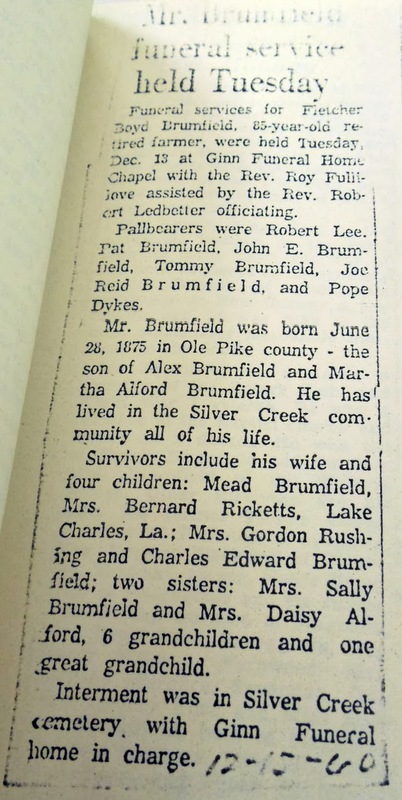 Survivors include his wife and four children: Mead Brumfield, Mrs. Bernard Rocketts, Lake Charles, La. ; Mrs. Gordon Rushing and Charles Edward Brumfield’ two sisters: Sally Brumfield and Mrs. Daisy Alford, 6 grandchildren and one great grandchild. Internment was in Silver Creek cemetery with Ginn Funeral home in charge. My New Year’s resolution for genealogy is to photograph and label the family treasures in our house. I want our children to know something about these treasures when we are no longer here to remind them where each candlestick and teapot and bowl have come from. It is March and the sun is shining in our back porch and the right time to begin. So I took my camera and some delicate Belleek pieces out to the sunshine for photographs. 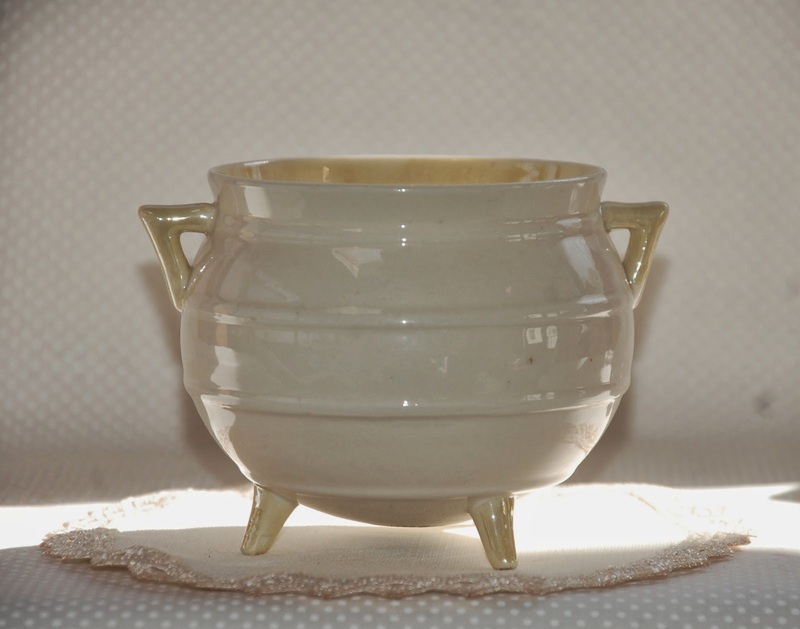 This three footed bowl, probably a sugar bowl, has the ‘Third Mark’ on the bottom showing that it was made between 1926 & 1946. I have been searching on the internet to find more details about the Belleek pieces I have inherited. I hope to discover more about this small bowl. This bowl was owned by my great aunt, Kathleen G Coyle. I am sure she bought each of her Belleek pieces during her visits to Ireland to visit her Mullane family. This is a poster I photographed when I visited the Belleek Store in Ireland in 2012. It shows the various marks that help to date their pieces. in Richmond, VA in May! Can’t wait to learn more about genealogy from experts in the field! Is there a better reason to get motivated to improve & extend my genealogy skills & knowledge? And that’s not all! 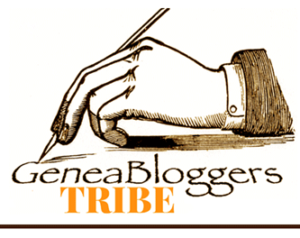 Fellow blogger & genealogy friend, Wendy from Jollett Etc. will also be attending! We are making plans to meet in person. We have been in contact for some time now & it will be wonderful to share a cup of tea or lunch & talk about our conference experiences. We'll meet on Friday morning at the session about the Virginia Militia, saving seats like high school days. Wendy says it will be cool to blog about the conference & connecting up! She’s right! Ha! You'll have to watch both our blogs for our posts. Cheri from Carolina Girl Genealogy & I are also comparing schedules to see if we can meet up. Anyone else want to join us? Meanwhile, I have been looking over the long list of sessions. Categories of lectures include: Methodology, Migration, Records, State Research, Virginia, Irish, Tricks & Tips, Online Resources, Libraries, & BCG Skill building. It was hard to choose. I read through the list three times before starting my selection. I feel like a child selecting treats in a candy shop. · Are Those My Early Virginia Ancestors? · Where Would You Go if You Had Five Days in Washington, D.C.? There are also social events. 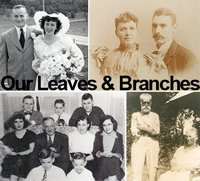 I plan to attend the First Timers Breakfast & a luncheon on the topic, How to Assemble a Weighty Genealogical Tome and Survive the Experience. I also want to visit the Exhibit Hall where there will be nearly 100 vendors, heritage societies, professional and educational organizations. Be sure to download the NGS 2014 App to track your sessions, see a map & a list of vendors & find friends there. Thanks to Cheri for letting me know about that. It is the perfect day to post about my Irish great grandfather; a man whose life is surrounded with questions. Although I do not know details of Michael’s death I do know something about his birth. 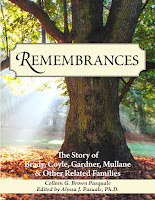 Michael Coyle was the oldest child of Patrick Coyle & Margaret Brady. He was born in Moat, Cavan, Ireland. He was baptized on 26 November. He would be the oldest of 11 children. His siblings were: Bernard, Catherine, Maria, Patrick, Margaret, Thomas, James, Bridget, Maryanne & William. In New York City, Michael Coyle met Mary Josephine Mullane, daughter of Daniel Mullane and Brigid English, while they were both in a boarding house. She was walking down a flight of stairs and he was starting up those stairs. She thought he was very handsome. He saw her and instantly fell in love. Despite the protests of Michael’s mother, they were married on 9 November, 1895 by Father Patrick F. McSweeny, the pastor at Saint Brigid’s Church. Michael was proud of his American citizenship. He kept his naturalization papers in a safe deposit box in a bank. He was also proud of his Irish birth. Each year on St. Patrick’s Day he would open the windows on their apartment, play Irish songs on their piano and sing loudly. Mary Jo would complain at the noise. Michael would say, 'I want people to know we are Irish'. His wife would say, 'I think they know already'. By the end of 1927 Mary Jo had died, Michael had left his family and the single daughters were living together. I have been unable to discover where Michael went or when he died. Baptism Record for Patrick Coyle, 9 May 1841, Microfilm #1279229, Church Records of Ballymachugh Parish, Page 30 (British Isles) from Family History Library. Photocopy of page given to author by Kathleen G. Coyle, Sun City West, Arizona and by Robert Coyle, Florence, Oregon. Citizenship Papers for Michael Coyle, 21 October 1894, State of Connecticut, County of New London. Photocopy belonged to Kathleen G. Coyle (daughter of Michael), Sun City West, Arizona. Certificate of Citizenship for Michael Coyle, 25 Oct 1894, USA, State of CT; Co of New London; New London, CT.
 1920 United States Census, New York City, NY, Vol. 279, E. D. 1292, Sheet 18, Line 70; NYS Library, Albany, NY. Michael Coyle family, 223 E 113th. 1925 NYS Census, NY Co, Microfilm Box #151, AD 18, ED 32, Page 47, NYS Library, Albany, NY. Michael Coyle family at 223 E 113th. Domes are the focus of this week's Sepia Saturday. When I saw this I thought of the amazing cathedrals I saw in Spain & Portugal, Independence Hall in Philadelphia, beautiful Monticello in VA & the Biltmore in NC. I have visited & taken pictures of all these places. But then I thought of a dome that was not built by man, making it more beautiful because it is nature's beauty. If you have not visited Yosemite & you are able, put it on your calendar! Be sure to see more domes at Sepia Saturday. I have decided to begin with my grandparents and to work back through the generations. Here is one of my great grandparents. I’d love to tell an endearing story about my great grandmother, a woman born in Austria/Hungry who died when my grandfather was a young man. However, I know almost nothing about this ancestor. I do know that my grandfather kept her picture (above) on top of his dresser and it has been handed down to me. On 24 March 1878 Fanny Edelstein married Leopold Gartner, son of Marcus S Gartner and Laura Harrn. In 1880 they were living at 59 Pitt Street, New York City. Leopold was a tailor. They had one daughter. 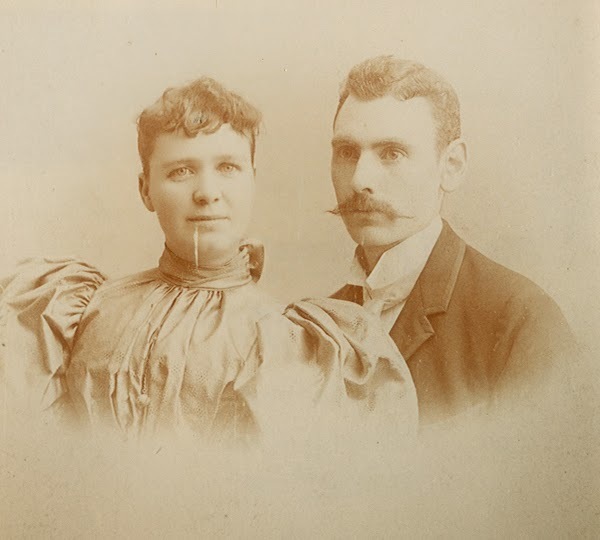 In 1900 the family was in Manhattan. 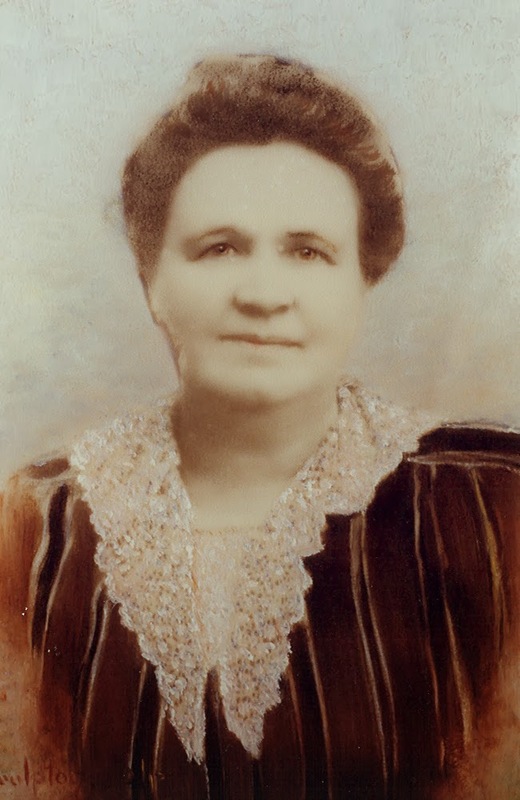 Fanny was the mother of 2 daughters and 3 sons. Between the 1900 US census & the 1905 NYS census, Leopold changed his surname from Gartner to Gardner. Leopold was still a tailor while Fanny did house work. Three of the children were employed: Florence, 20, was a clerk; Nathaniel, 19, was a telegrapher; Moses, 17, was also a telegrapher. Albert, 15 was at school. The youngest daughter is not listed. Fannie was probably a big part of the day on 27 January 1907 when her oldest daughter, Florence, married Frank Samuel Weissberg, son of Morris & Rose Weissberg. She may have seen her oldest grandchild, Milton S Weissberg, born 27 December 1907 in Buffalo, NY. However, Fannie died soon after that. 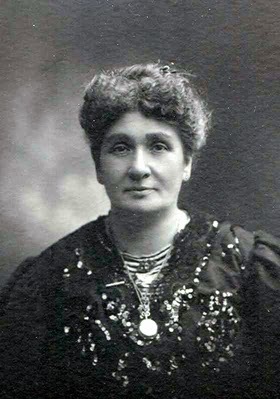 She died 28 February 1908. 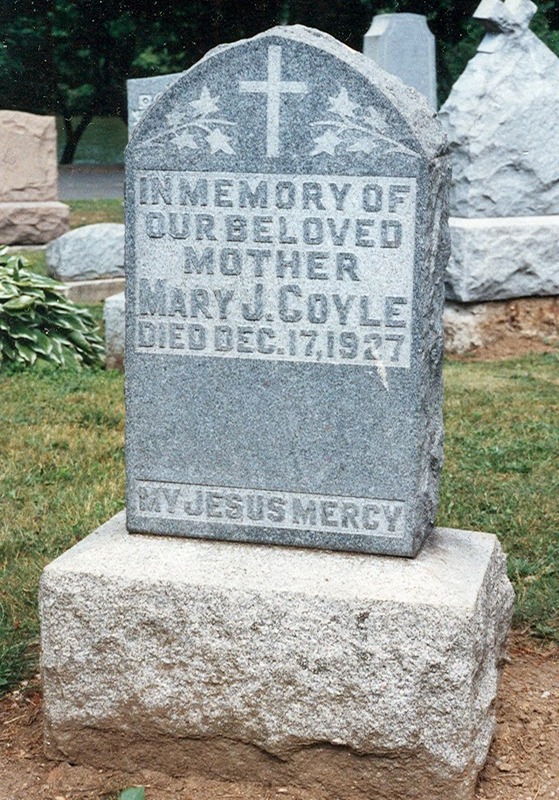 She is buried in Washington Cemetery, Kings, NY. 1880 US Census,New York, New York City; Vol.50, E.D. 143, Sheet 36; Line 44; New York State Library, Albany, NY, Microfilm Box #69; Leopold Gartner at 59 Pitt Street; Leopold Gartner Family at 59 Pitt Street, NYC. Certificate of Death for Fannie Gardner, 28 February 1908, #7039; State of New York, City of New York Department of Health.